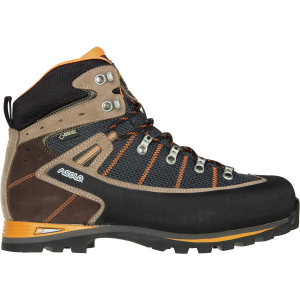 Asolo designed its Men's Shiraz GV Boot for backpacking over technical terrain with heavy loads. 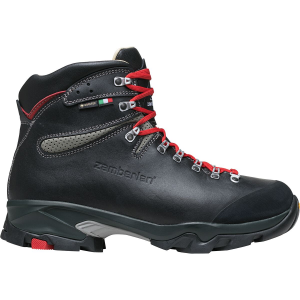 A Gore-Tex performance comfort lining gives this boot guaranteed waterproof breathable protection that also provides optimized climate control for moderate conditions. 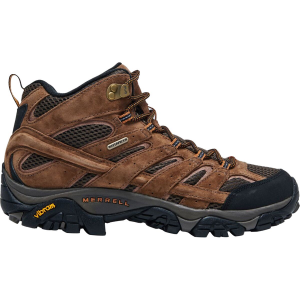 This boot's upper features a water-resistant Schoeller K-Tech Micro fabric that regulates your foot's temperature, and suede overlays keep the boot strong for many years of technical trekking. 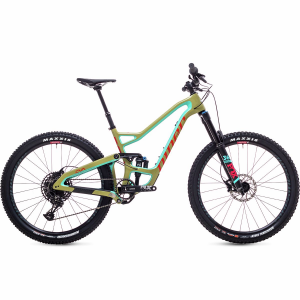 The Shiraz utilizes an Asolo Vibram Ascent sole to give you the traction you need in slippery situations. Its Lite 2 footbed provides some cushy foam with an added EVA collar around the heel for extra support, stability, and comfort. 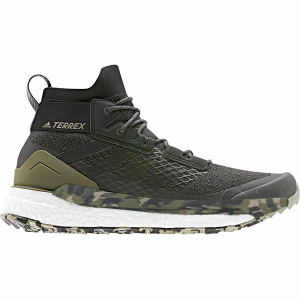 The dual-density microporous midsole and the PU anti-shock insert at the heel make sure your feet can handle the hard hikes as well as the fun times when you finally reach the campsite.